My weekend in Austin did not end with the Austin Eats Food Tours. Not by a long shot. The adventures continued with a trip to Ramen Tatsu-ya. I know some of you may be rolling your eyes at the thought of eating Ramen, thinking that you stopped eating ramen when your college days came to an end. However, I challenge you to keep an open mind because a place like Ramen Tatsu-ya can show you how true ramen should really taste. 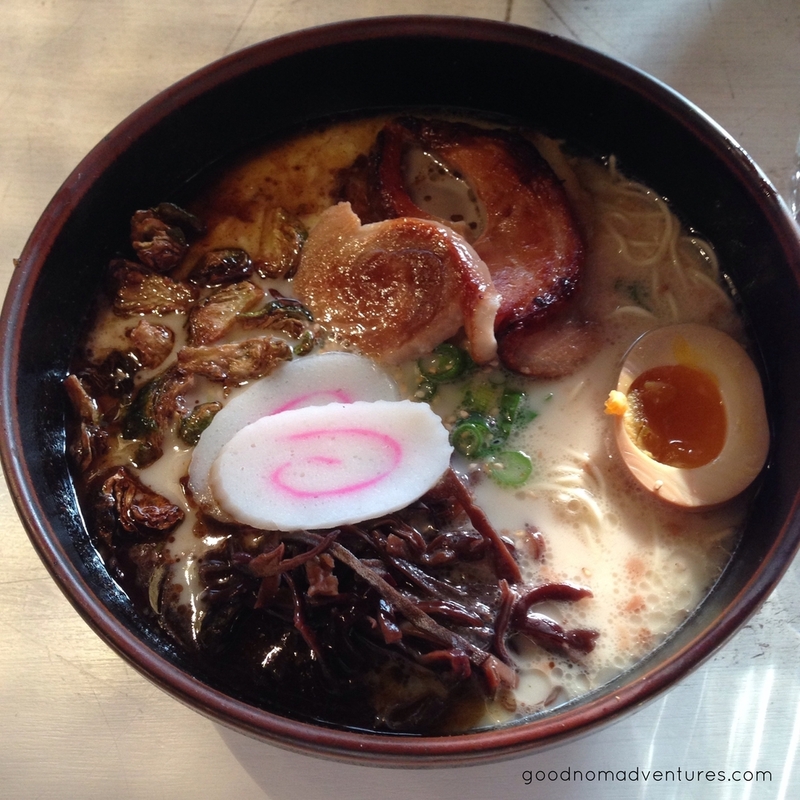 I've heard great reviews about Ramen Tatsu-ya, which is how it landed on my bucket list. They just opened up a second location off South Lamar with it's original location off Research Blvd. I had a hard time finding it off Research because it's located in a strip mall, but if you see the Target then you've found the right spot. I was trying to find a parking space and was shocked to find a long line of people just standing and waiting. It had to be worth the adventure because it was a hot and humid evening for Austin and people were more than happy to wait their turn. No worries though, they do a great job with line management and we were seated inside and eating within 15 minutes. Once you walk in you understand why there's such a wait outside. It's a small dining area that has a combination of shared tables, a bar and a few high top tables. When I mention great line management, I mean it. You're greeted by the super friendly Director of Operations Shion Aikawa who finds out how many are in your party. Once you get inside you're handed a number and given a location to sit after you've ordered. The menu is fairly simple: ramen, ramen and more ramen. You do have some gluten free options available for dinner as well as a veggie option on Sundays. The main attraction is the pork bone soup. It was creamy, earthy and perfectly porky. It was balanced in flavor without being salty. It's served with pork belly, a marinated soft boiled egg, mushrooms and scallions. I added the fish cake slices (the white with pink swirls) and fried brussels sprouts. My friend added an extra soft boiled egg and I will have to do that next time. Just look at that egg! This bowl of ramen is definitely not your college ramen. They do offer side items, such as this curry bowl that I shared with my friend. Japanese curry is definitely comfort food in my book and this curry was delicious. It was just as I expect Japanese curry to be, thick and flavorful with chucks of soft potatoes and carrots drenched in curry goodness. Be sure to give Ramen Tatsu-ya a try if you're ever in Austin.